You save 18% that's £44.00! Width 90cm, Height 180.4cm, Depth 29cm. 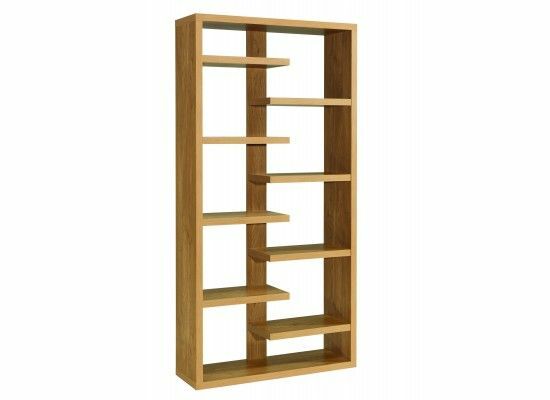 The Vierzon modern tall shelving unit in a light oak finish. This floor standing unit features a sturdy construction and rectangular height adjustable shelves offering ample storage space to store your books, DVD's, ornaments and photo frames.